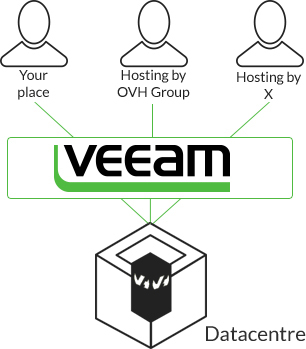 So you Start is one of the hosting providers certified by Veeam to store your data and backups with the Veeam Cloud Connect solution. Take advantage of this service now to easily secure your backups in 1 click! No matter where your data is stored, it will be directly transferred to one of our datacentres in France. In the Veeam Availability Suite v9 interface, select So you Start from the list of providers. 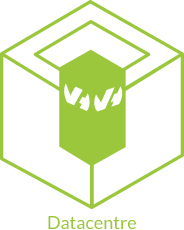 The solution is compatible with all virtualisation technologies from VMware (vSphere, vCloud) and Microsoft (Hyper-V, Azure). So you Start is based on the infrastructures of OVH, which has its own datacentres in Europe and North America and a 3 TB proprietary network worldwide. OVH is the leading hosting provider in Europe and number 3 in the world. Dedicated Cloud has been awarded ISO 27001, SOC 1 type II and SOC 2 type II and CSA STAR certifications. This conformity of infrastructures and services demonstrates to the OVH know-how. Double electric power supply, UPSs, electricity generators, redundant network - we combine all the security guarantees to make your data as secure as possible. Your backups are hosted with a certified provider via an SSL connection for no extra licence fees. Your Control Panel gives you all the information you need to manage the service successfully. The implemented technologies allow you to manage GFS-type backups, incremental and permanent. All your data is fully encrypted so that it can be transferred securely.